We build creative mobile-friendly websites that get found by your customers. Coupled with solid hosting and reliable support, we partner with you to provide peace of mind for your online presence. We have been designing and building custom WordPress websites exclusively since 2012. We create visually appealing responsive websites that convert leads into customers. Our aftercare services ensure that your new website is supported, kept secure, and running smoothly. That’s one less thing for you to worry about. Are you optimizing your website correctly? If not you are missing out on potential customers. 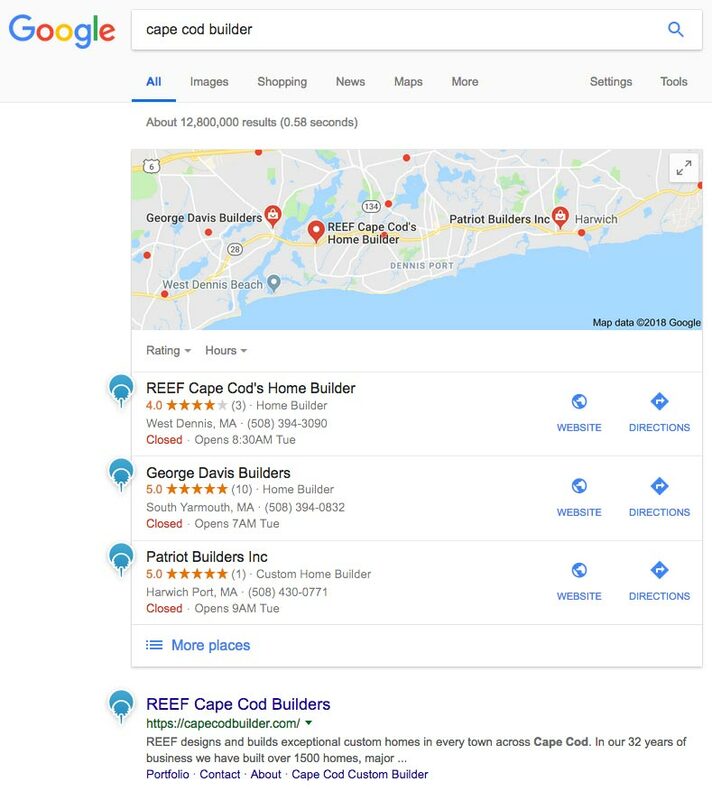 This image shows a real Google search for the keyphrase “Cape Cod Builder”. The top results all have one thing in common: Community Web Development. 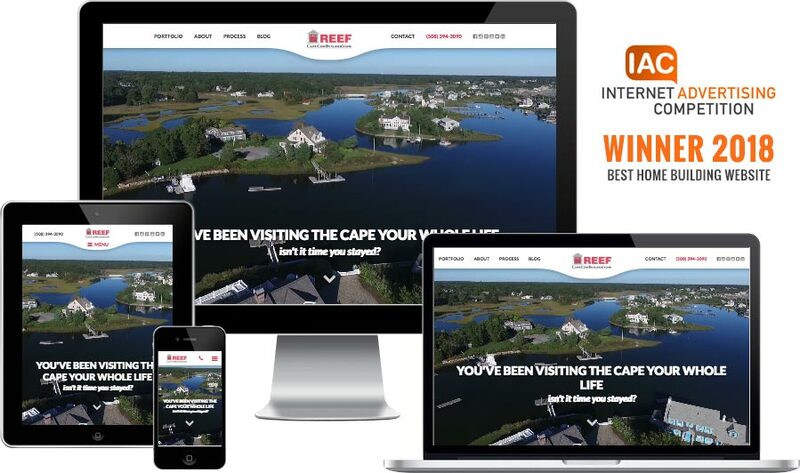 We have helped countless local Cape Cod businesses reach their audience and we are ready to do the same for you. We work with clients in a wide variety of industries including construction, lodgings, restaurants, real estate, non-profits and more. We will develop and execute a realistic Search Engine Optimization (SEO) plan that looks at all aspects of your online presence and most importantly, gets results. On-site SEO: We identify and target keywords that get you noticed by Google & Bing. Off-site SEO: We improve your online reputation by earning links and listing your business info on trusted websites. Technical SEO: We make sure your website is secure (SSL), loads quickly, and offers a great mobile experience using fully responsive web design principles. Online Marketing (SEM): We can advertise your business in Google & Bing, or on websites relevant to your industry. We can even help you build e-mail lists and market to them effectively. Contact us for a free web design & SEO consultation today.